"One of the greatest weaknesses in most of us is our lack of faith in ourselves. One of our common failings is to depreciate our tremendous worth. "A firm I was associated with sometime ago embarked on a great executive development program at considerable expense to itself. The program was open to all who expressed an interest. All they had to do was sign up. The firm paid the costs and even allowed the employees one hour off from their normal daily work for classroom time—a free opportunity for an education in the art of management. During the two years the program was offered, only 3 percent of the employees signed for the course. "President Romney has said: 'We mortals are in very deed the literal off-spring of God. 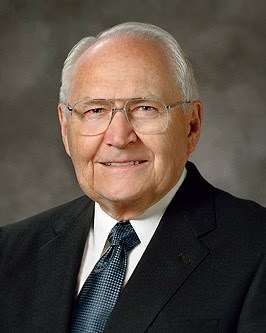 If man understood, believed and accepted this truth and lived by it, our sick and dying society would be reformed and redeemed and men would have peace and eternal joy.' With this divine knowledge burning within our souls, surely much will be expected of us. 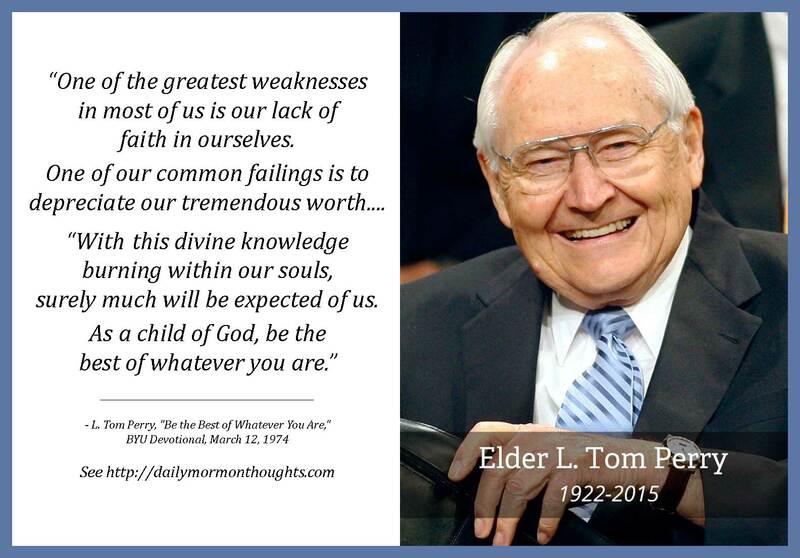 As a child of God, be the best of whatever you are." 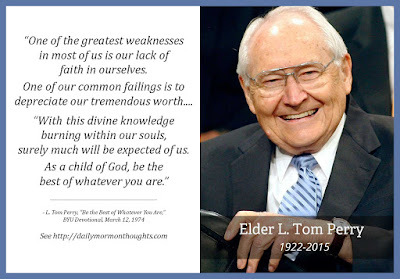 In the passage Elder Perry quoted from President Marion G. Romney, we are again reminded of what our heritage is and how great is the potential we each possess; our "sick and dying society" would be transformed if we only came to fully accept the truth of our divine heritage! While society as a whole may never come to this realization, we can do so individually, and thus transform our personal worlds and those around us. The simple truth we teach our children to sing, "I am a child of God," is more powerful than we acknowledge.